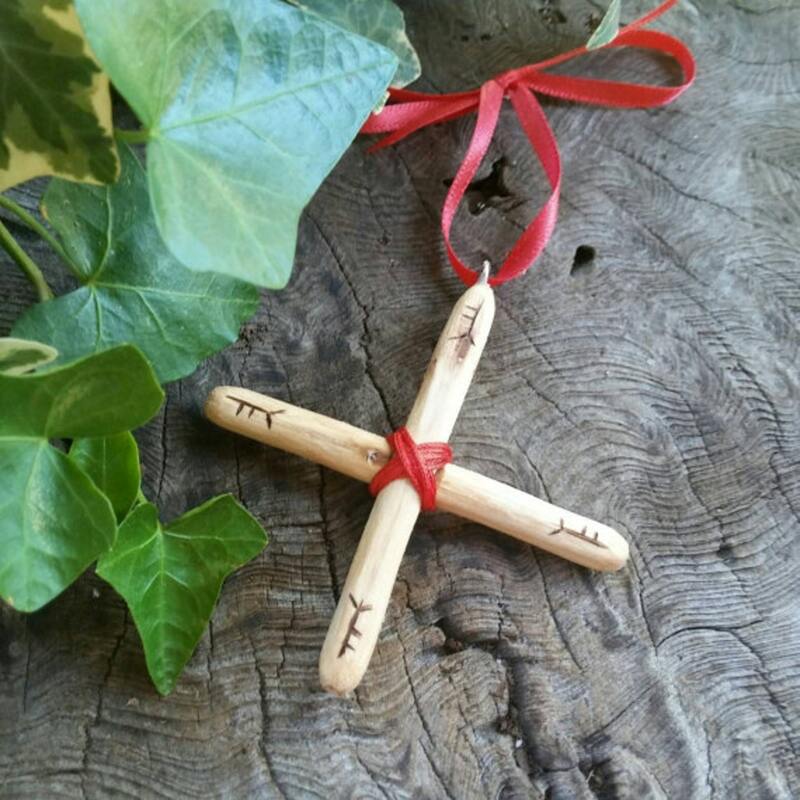 Our Oak cross protection amulet, or protection charm, is an equal-armed magical oak cross, used for home protection and security in Britain for centuries. 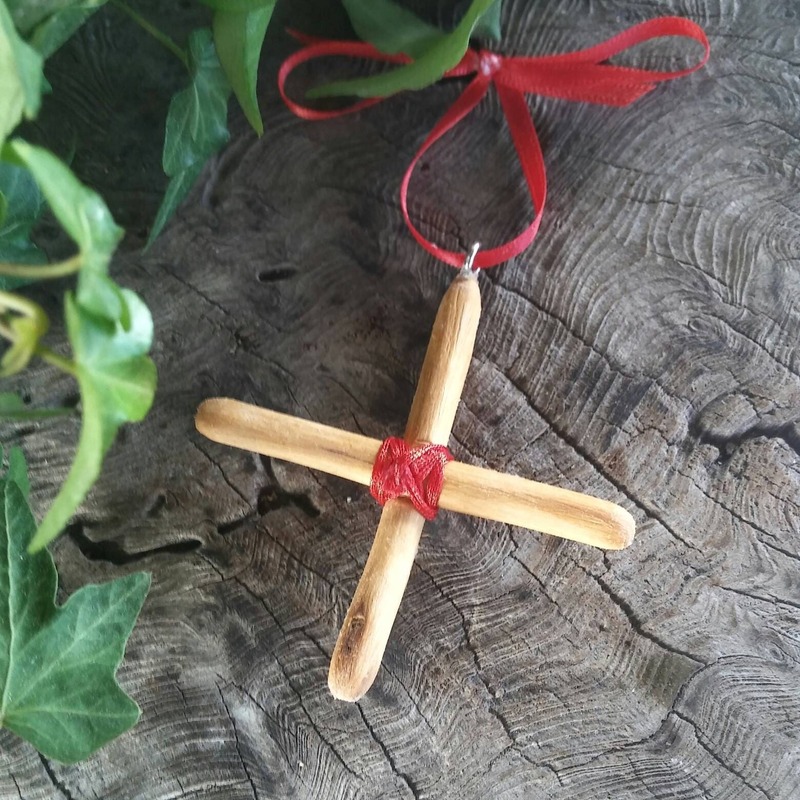 This Oak cross measures 8cm (3 in) by 8cm (3 in). It is bound with red silk thread and has a red satin ribbon for hanging. The Oak tree is one of the sacred trees of Wicca and Witchcraft, and is associated with the month of June (10th - 7th July). June is also the month of “Litha” and the Summer Solstice, which is one of the 4 lesser Sabbats of the Witches celebrated on the 21st June. In the early age of mankind the Oak tree was thought to have been a primary focus of worship before the ancient Druids gave equal significance to other trees. Oak through the ages was revered by many cultures particularly for its protective qualities, and in Britain it still stands proud as the “King of the Forest”. In early Celtic times certain Oaks were marked with a protective symbol, a circle divided into four equal parts (symbolic of the four elements - Earth, Air, Fire and Water), this was probably a forerunner of the magic pentacle (an up-right five pointed star in-side a circle, symbolic of the four elements plus “spirit”). Most likely this was an old Druidic custom, for the Druids revered the Oak above all other trees, believing it hosted the energy, power and strength of their Gods. 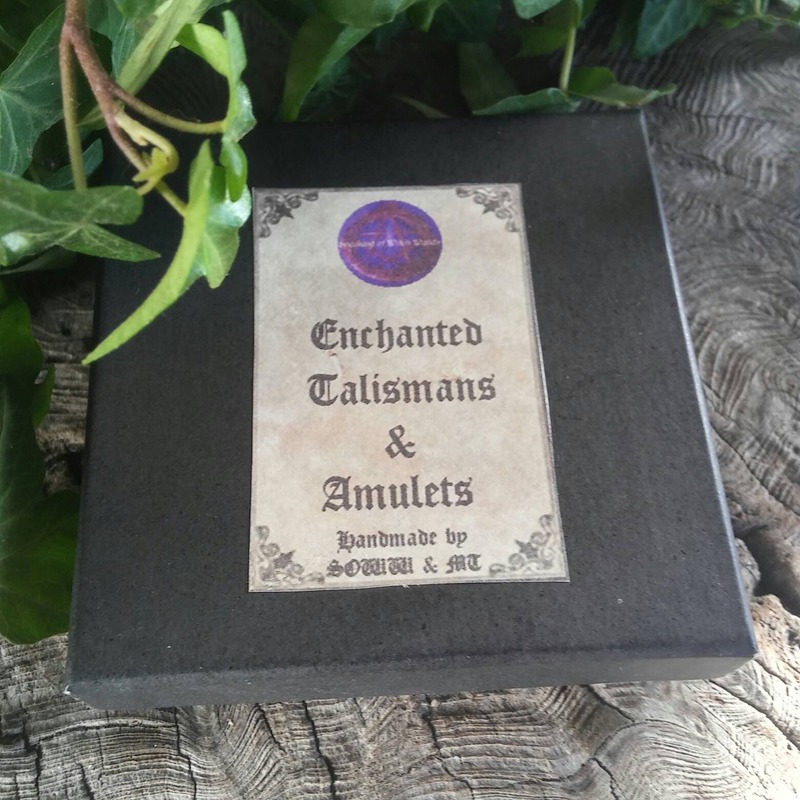 The protective qualities of the Oak were well known and used in magick, and many of the old customs are still practised in country villages. Carrying a small piece of Oak on your person will bring about a sense of security and well being, as well as protecting you from harm. 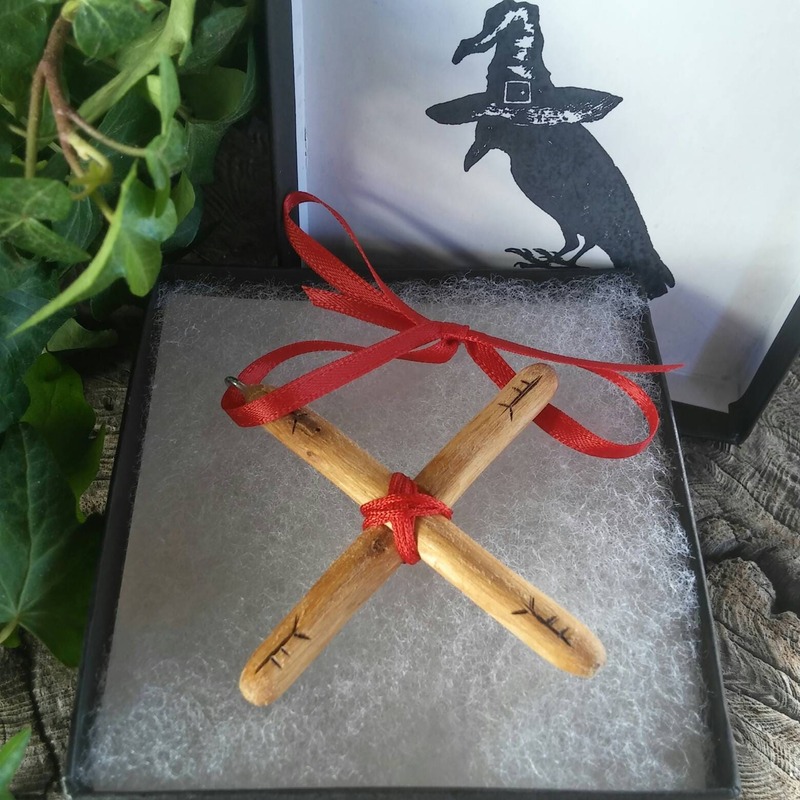 Two twigs of Oak tied together with red thread to form an equal armed cross is an age old talisman that can be worn or hung up in the home for protection, strength and security against evil. 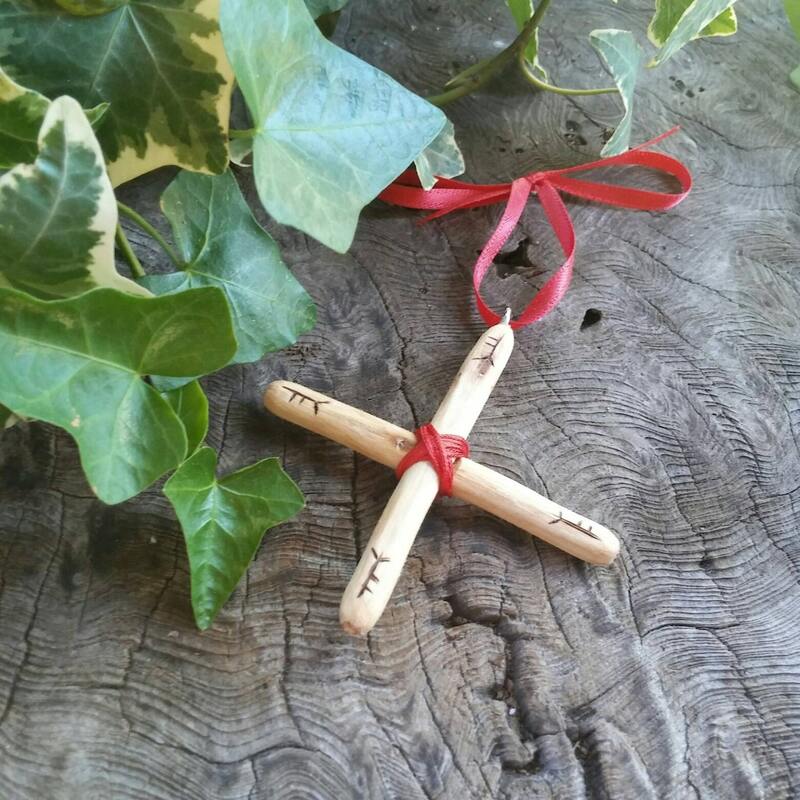 Our crosses are made by de-barking and sanding until completely smooth, pyrographing the Duir (Dair) ogham onto each end of the cross, and tied together in the centre with red silk thread. We then polish the cross with linseed oil. Adding a pretty red satin ribbon for hanging, it is now ready to be hung above your doorway, window, or upon your person as a means of protection and security.